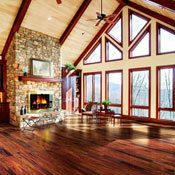 Rosewood Hardwood Flooring is famous for its dark brown to violet colorations. 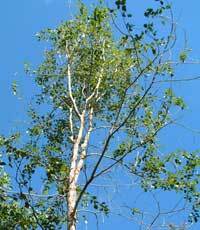 With time, Rosewood may lighten from the original dark brown color to more of a light tan color. The wide coloration in freshly cut Rosewood may undergo dramatic muting over time. 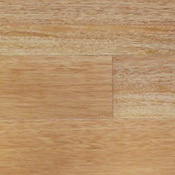 Rosewood usually has a uniform, moderatly coarse texture. 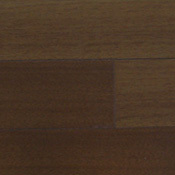 Rosewood is flooring that is known to be hard and dense. This wood's density structure is very similar to Red Oak. 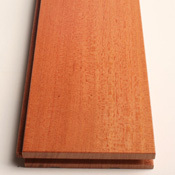 Rosewood is a 1780 on the Janka Hardness Scale and is consider on the top half of the spectrum. Even though Rosewood is very dense, it can be sanded and works well. Be aware when choosing a finish for Rosewood because it doesn't accept oil-based finishes well, so a water-based finish is preferred. Their are many types of Rosewood so be sure to ask if you are looking at a product, types include Tiete Rosewood, Patagonian Rosewood, Bolivian Rosewood, and Brazilian Rosewood. Rosewood is a good choice for any home, but you must remember that their are many types, the color will change, and not to use and oil-based finish. If you have any questions, or are looking at a product, please feel free to call us at 1-800-626-6936. These are some Rosewood Products we offer.